The Boston Port Act (the Trade Act 1774) is an Act of the Parliament of Great Britain which became law on March 31, 1774, and is one of the measures (variously called the Intolerable Acts, the Punitive Acts or the Coercive Acts) that were designed to secure Great Britain’s jurisdictions over her American dominions. The Act was a response to the Boston Tea Party. King George III’s speech of 7 March 1774 charged the colonists with attempting to injure British commerce and subvert the Constitution, and on the 18th Lord North brought in the Port Bill. It outlawed the use of the Port of Boston (by setting up a barricade/blockade) for “landing and discharging, loading or shipping, of goods, wares, and merchandise” until such time as restitution was made to the King’s treasury (for customs duty lost) and to the East India Company for damages suffered. In other words, it closed Boston Port to all ships, no matter what business the ship had. It also provided that Massachusetts Colony’s seat of government should be moved to Salem and Marblehead made a port of entry. The Act was to take effect on June 1. Even some of the best friends of America in Parliament at first approved the Act as moderate and reasonable, as the town could end the punishment at any moment by paying for legitimate merchandise destroyed by riot and allowing law and order to have their course. But the Whig opposition soon collected itself, and the bill was fought in its various stages by Edmund Burke, Isaac Barré, Thomas Pownall and others. In spite of them, the Act became a law 31 March, without a division in the Commons and by unanimous vote in the Lords. Royal Navy warships subsequently began patrols at the mouth of Boston Harbor to enforce the acts. 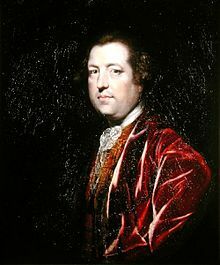 The Royal Army also joined in enforcing the blockade, and Boston was filled with troops, Thomas Gage, commander-in-chief. Colonists objected that the Port Act punished all of Boston rather than just the individuals who had destroyed the tea, and that they were being punished without having been given an opportunity to testify in their own defense. All the citizens of Boston were angered including the Loyalists (also known as Tories) and Patriots who all sought for aid from the other colonies. As the Port of Boston was a major source of supplies for the citizens of Massachusetts, sympathetic colonies as far away as South Carolina sent relief supplies to the settlers of Massachusetts Bay. So great was the response, that the Boston leaders boasted that the town would become the chief grain port of America if the act were not repealed. This was the first step in the unification of the thirteen colonies. These colonies finally had a cause for them to work together. The First Continental Congress was convened in Philadelphia on September 5, 1774, to coordinate a colonial response to the Port Act and the other Coercive Acts.